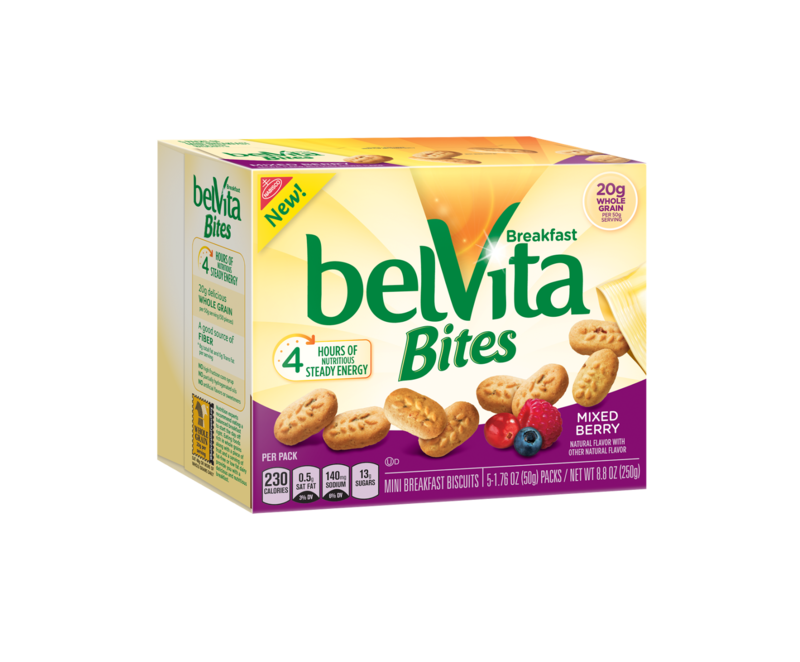 As I mentioned in a previous post, tomorrow is National Cereal Day and this year belVita is encouraging you to trade in your spoons in favor of a balanced breakfast, like belVita Bites, fruit and yogurt! Breakfast has always played an essential role in our diets but times have changed. As today’s modern family has evolved, consumers’ morning routines and breakfast eating habits have changed as well. belVita Bites are a convenient option for mornings on the run. Each 50g serving (one pouch) provides: 230 calories, 4g of fiber*, 20g of whole grain. Christine is a Life Coach with a counseling emphasis known for catalyzing radical self-reflection while offering practical direction and author of the Expectation Hangover. She is passionate about busting the myth that life is about living by a checklist and having it all figured out. David is the author of the 8-million-copy bestselling Eat This, Not That! franchise. A prominent leader in the health and wellness industry, David is currently the ABC News nutrition and wellness editor, the consulting editorial director for Men’ ;s Fitness, and a consultant for American Media Magazines (AMI). Said Christine Hassler, life coach and author, “Doing something 40 days in a row moves it from a change to a habit. Making a complete breakfast a habit starts today." belVita recently hosted a breakfast panel leading up to National Cereal Day entitled, “The Changing American Breakfast.” Below are some great points that were made during it! Recommended amount of fiber for women is 30g, and 35g fiber for men. A study by NPD Gr oup Inc. found that Americans have an average of just 12 minutes a day for consuming breakfast. That is about half the time we spend on lunch (28 minutes) or dinner (24 minutes). Dietary fiber from whole grains, as part of an overall healthy diet, helps reduce blood cholesterol levels and may lower risk of heart disease. So make sure to Trade In Your Spoon and start eating a balance breakfast every day!